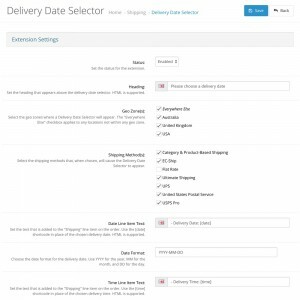 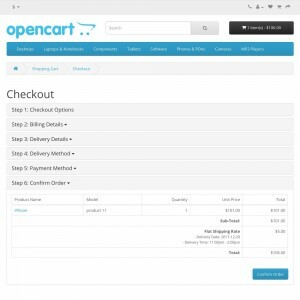 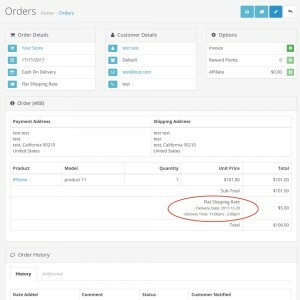 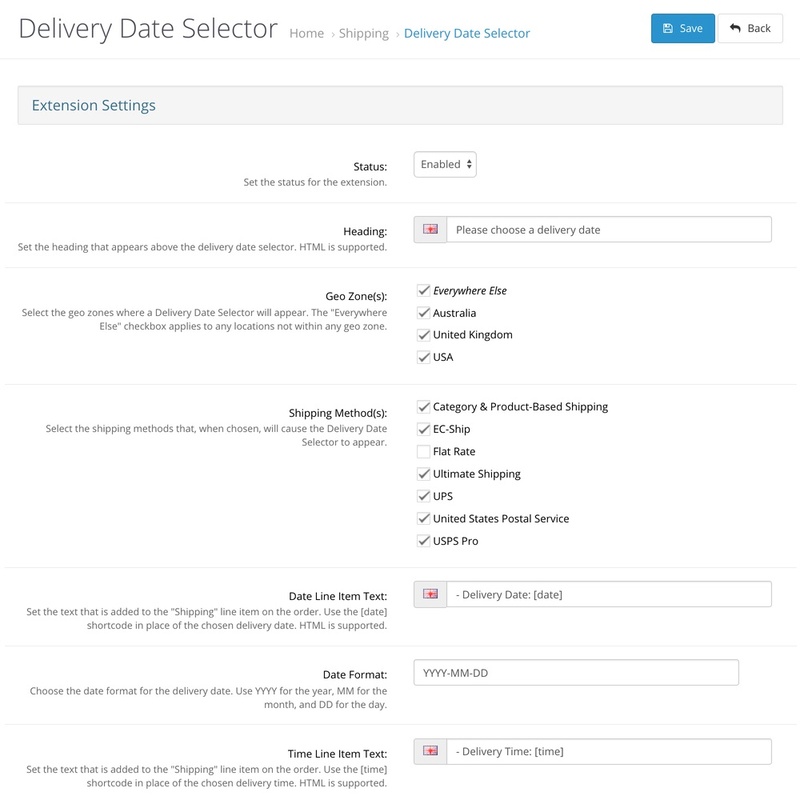 Add a delivery date and time selector to your checkout! 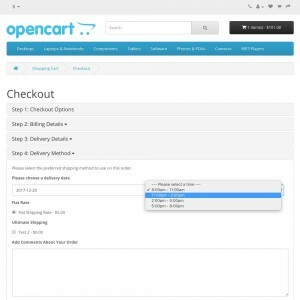 This extension will work with any shipping methods you have installed, and shows up at the top of the shipping options. 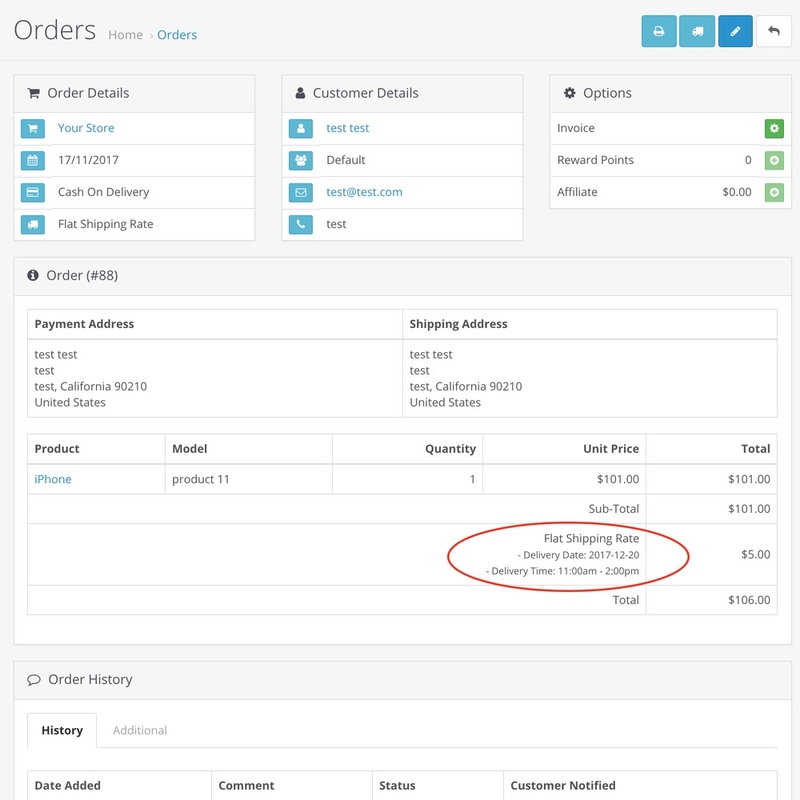 The customer's choices are added the "Shipping" line item on the order, meaning that they are displayed everywhere the order line items are shown. 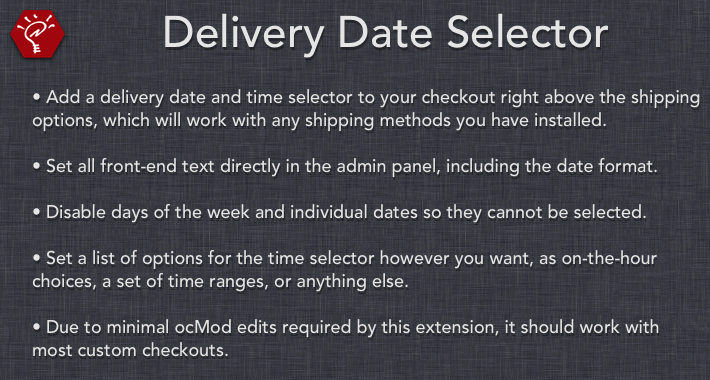 The extension has been designed to require only a very small ocMod file, which should minimize conflicts with other shipping modifications and custom checkouts. 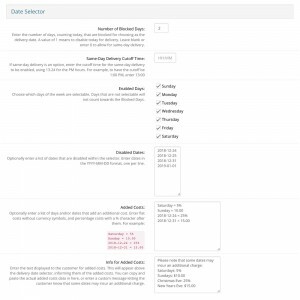 Set all front-end text directly in the admin panel, including specifying the date format for the selector. 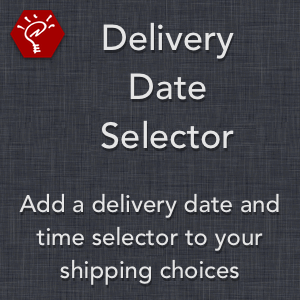 Choose to allow or disallow choosing same-day delivery. 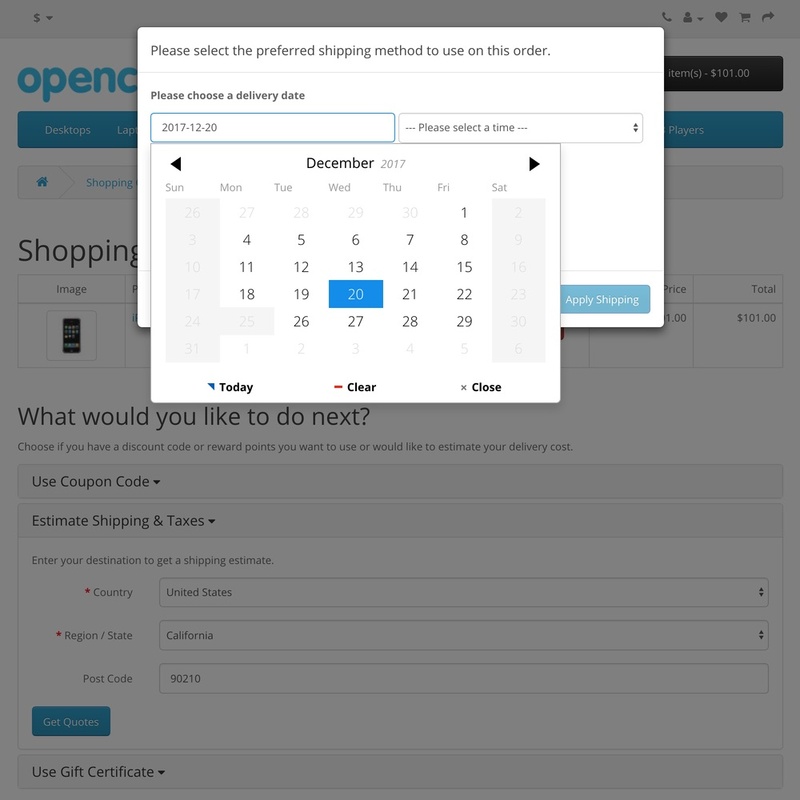 Select which days of the week are possible as delivery date choices. 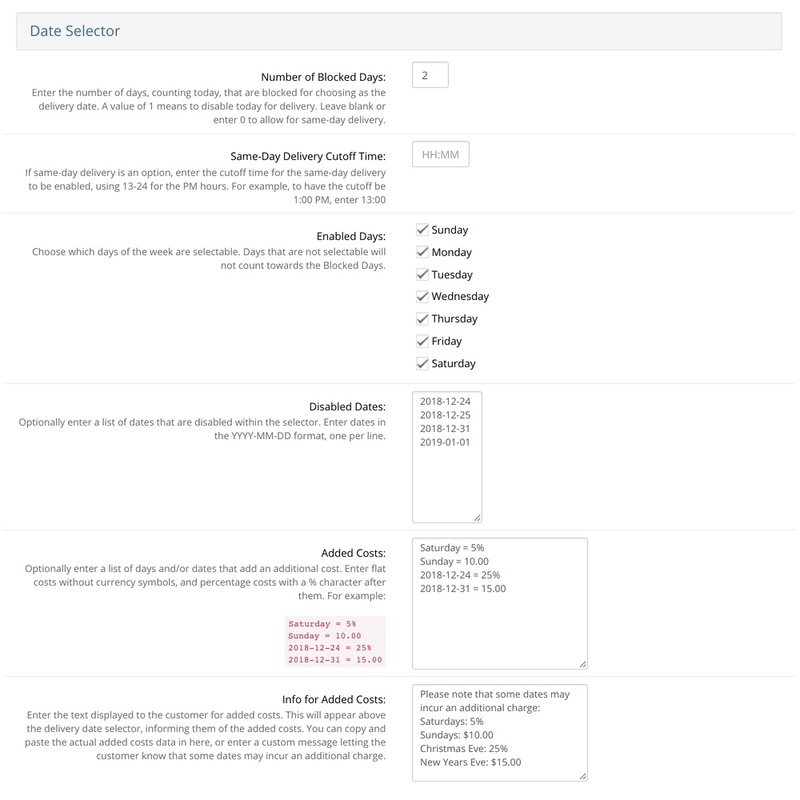 Optionally enter a list of disabled dates, which will prevent those dates from being selected. 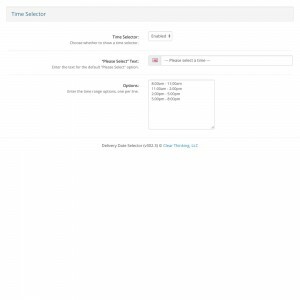 Set the list of time options however you want, as on-the-hour choices, a set of time ranges, or anything else. 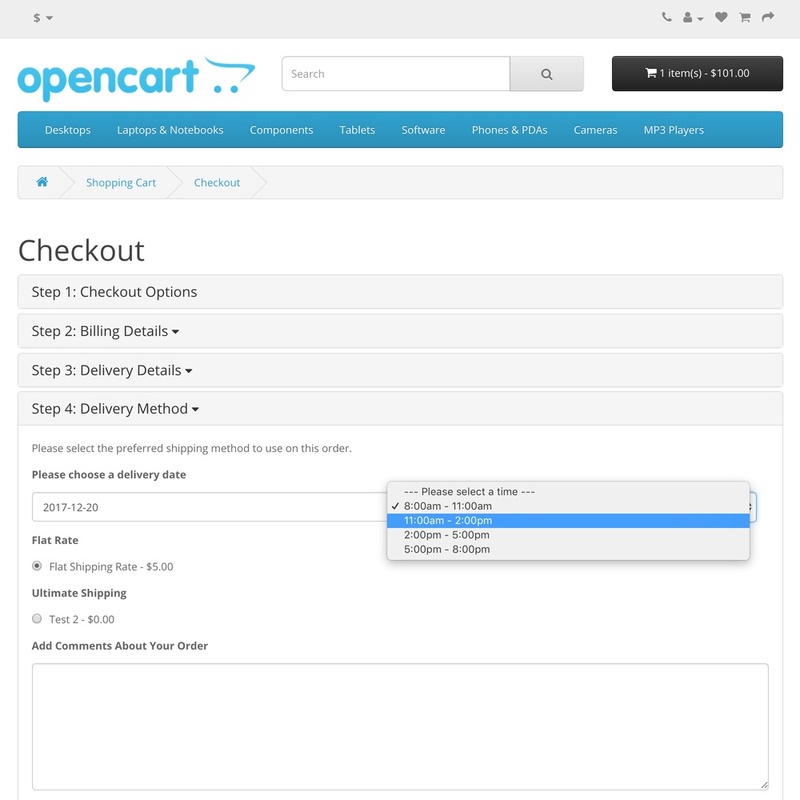 Due to the minimal ocMod edits required by this extension, it should work with most custom checkouts. 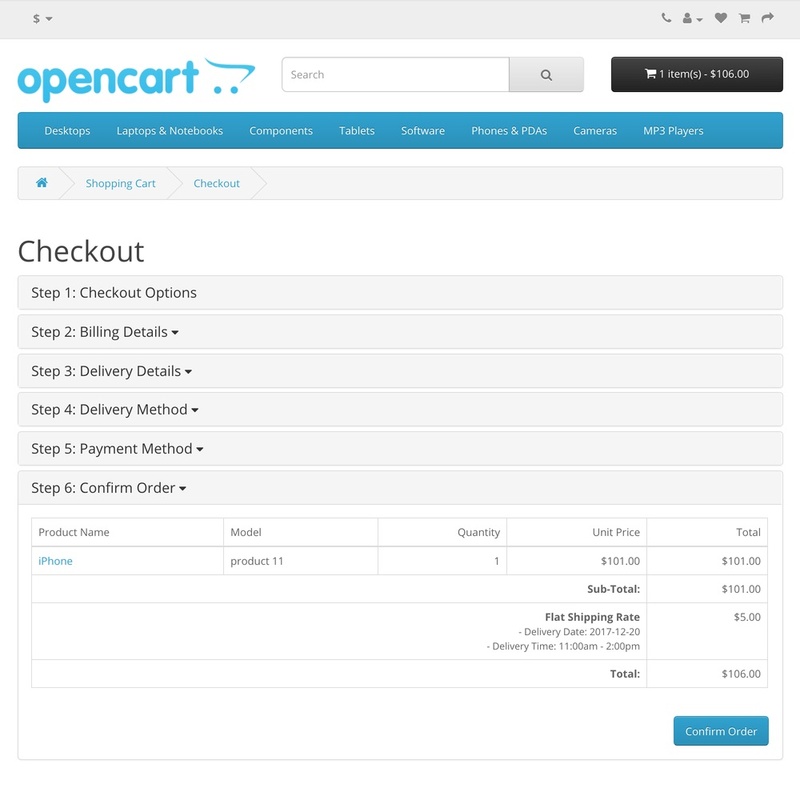 Please contact Clear Thinking if you have issues using it on your custom checkout.